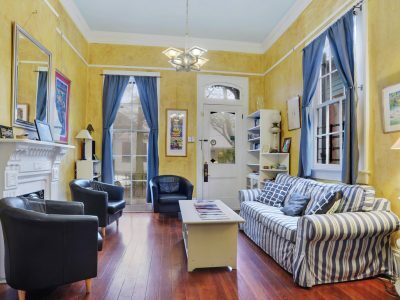 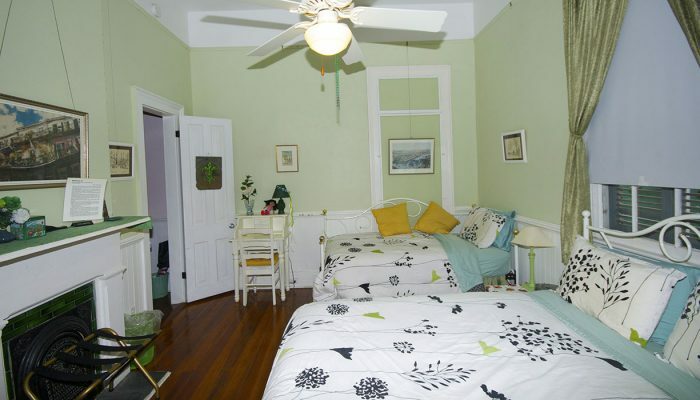 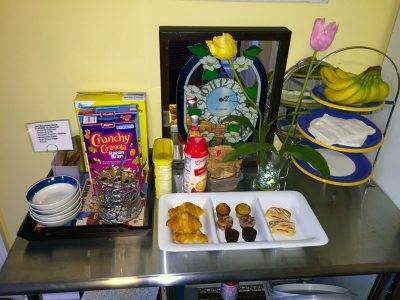 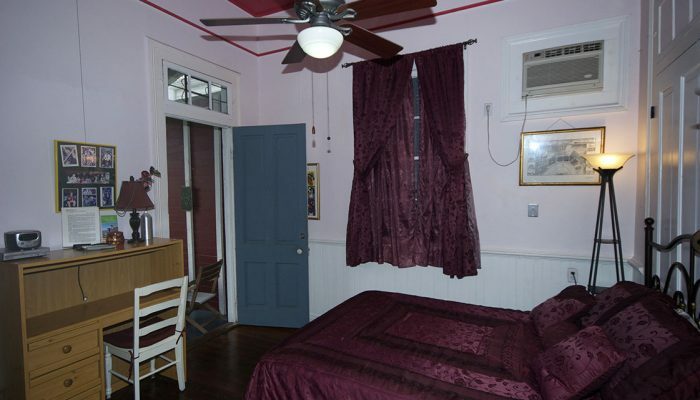 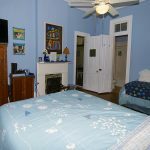 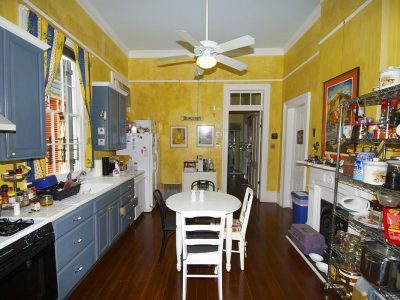 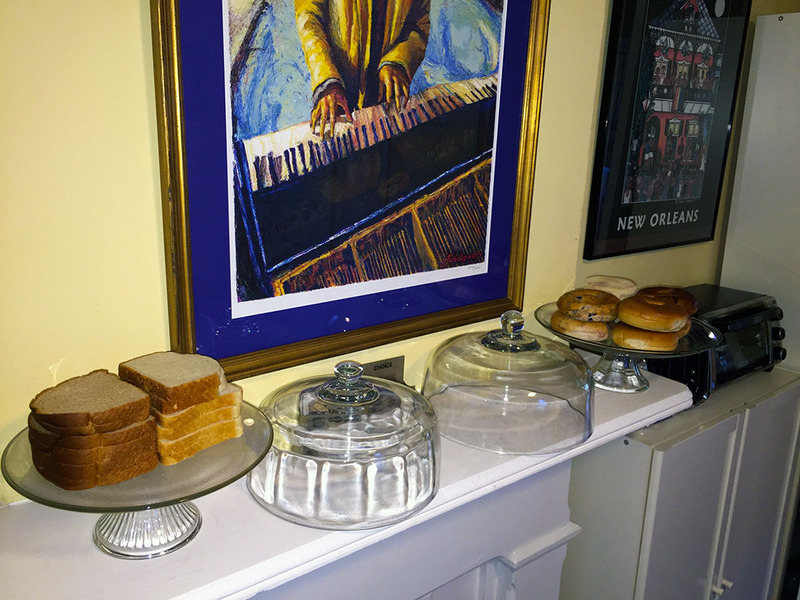 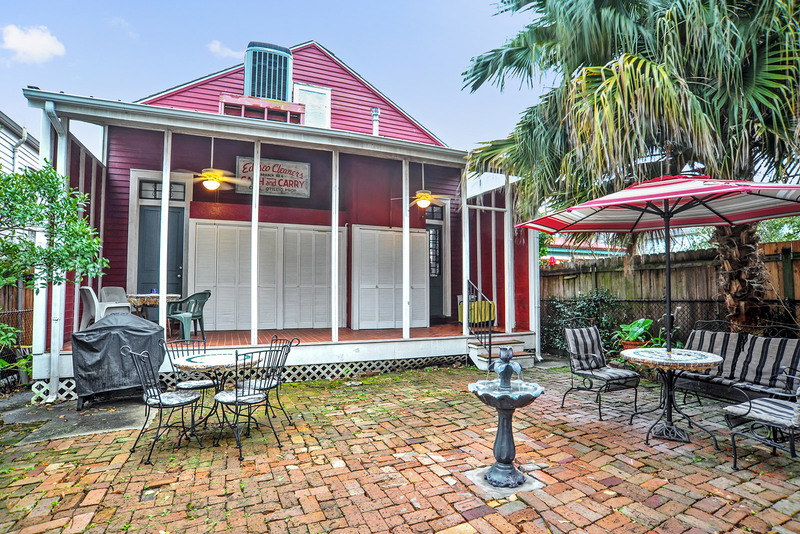 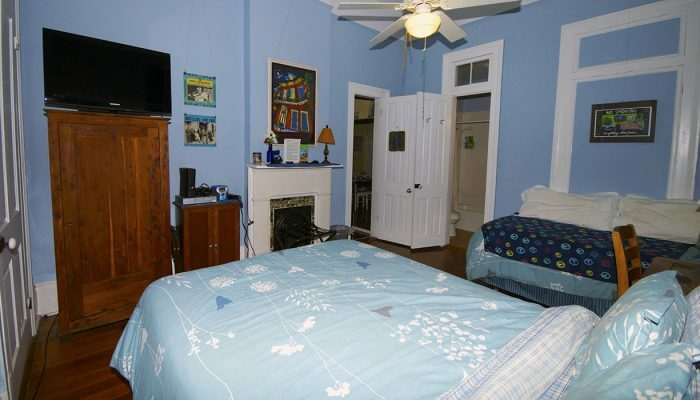 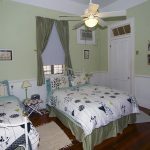 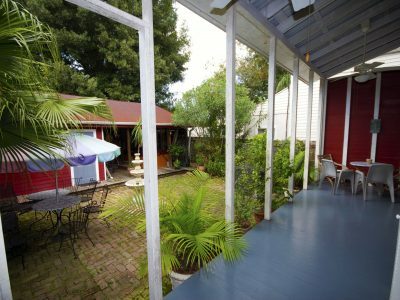 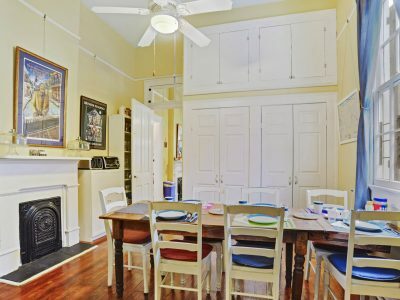 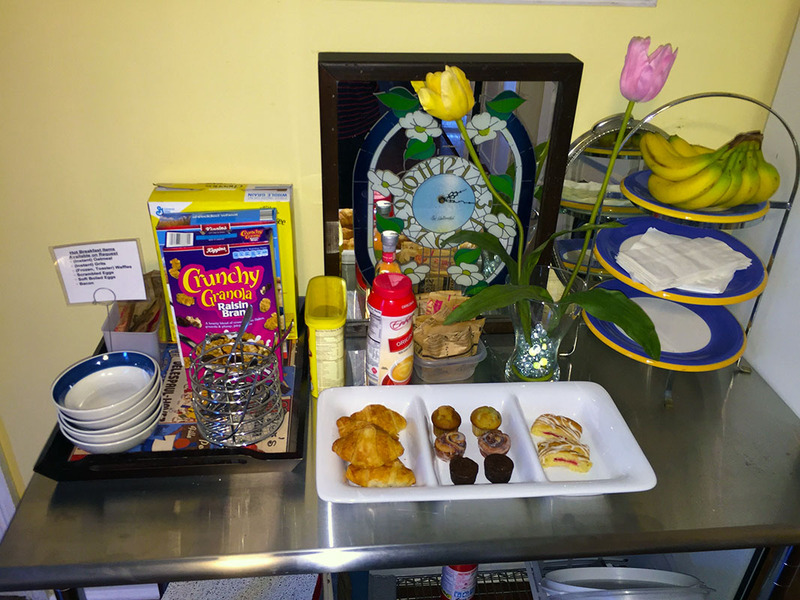 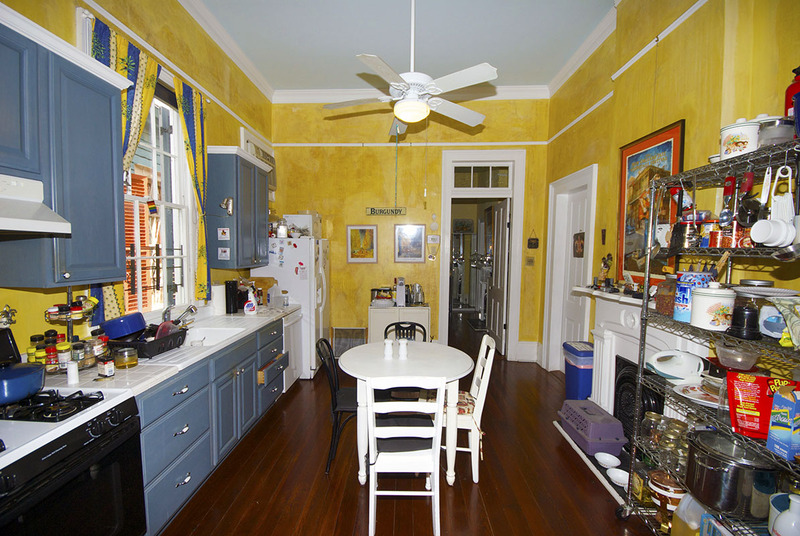 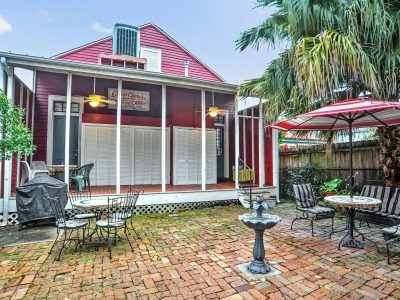 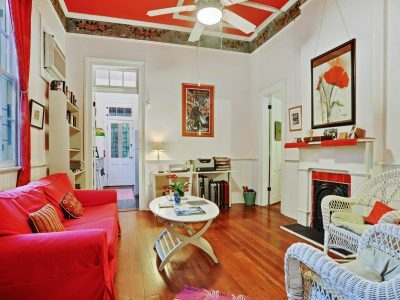 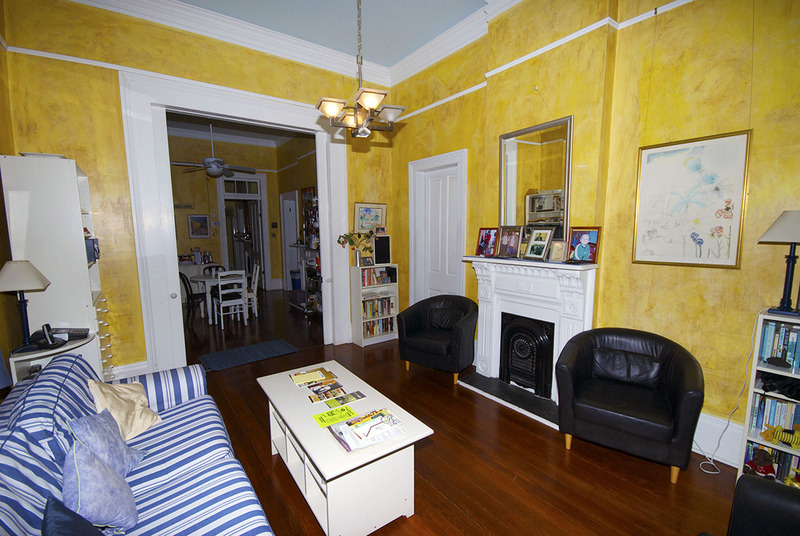 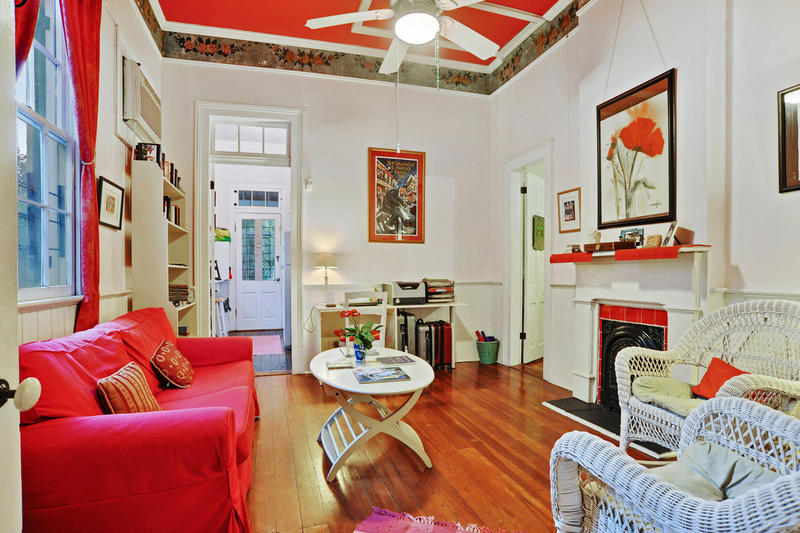 A cozy Bed and Breakfast in the heart of New Orleans' Faubourg Marigny neighborhood. 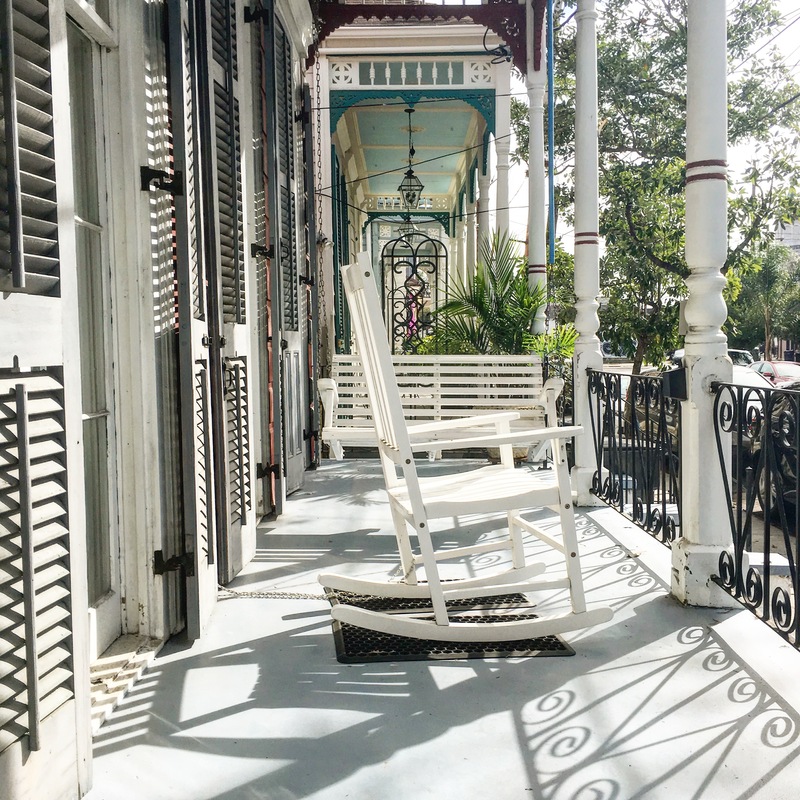 A short walk to the historic French Quarter. 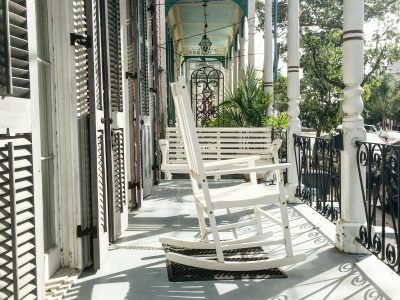 Spend a restful evening in our lushly landscaped courtyard after taking in the sights of the city. Take a soak in our luxurious hot tub in the Carriage House. 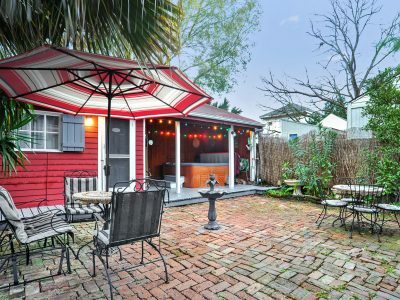 It's the perfect place to relax and get away! and an assortment of breads, bagels, pastries, cereals, etc. 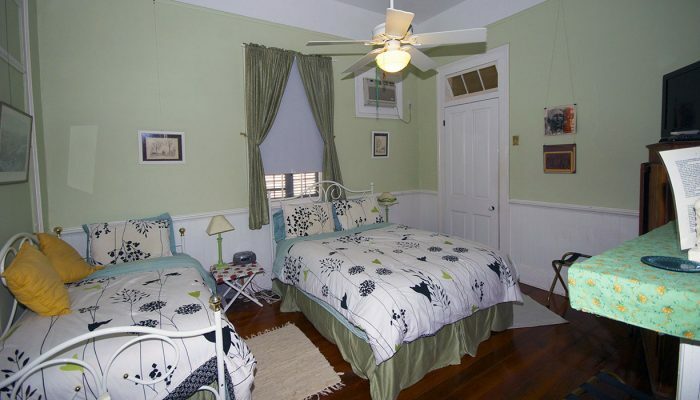 A room for relaxing and reading. 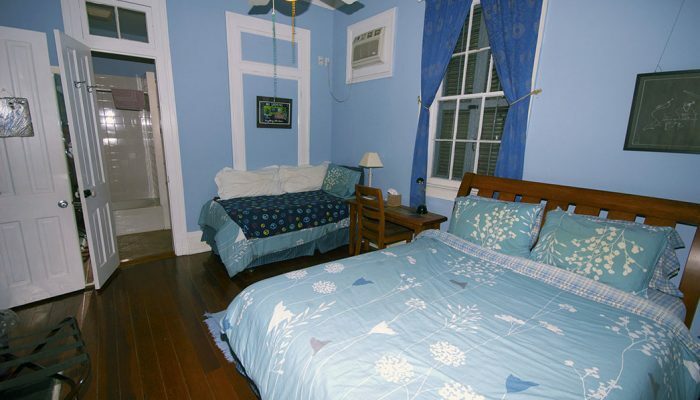 The room also has a computer with cable internet for the guests to use at their convenience. 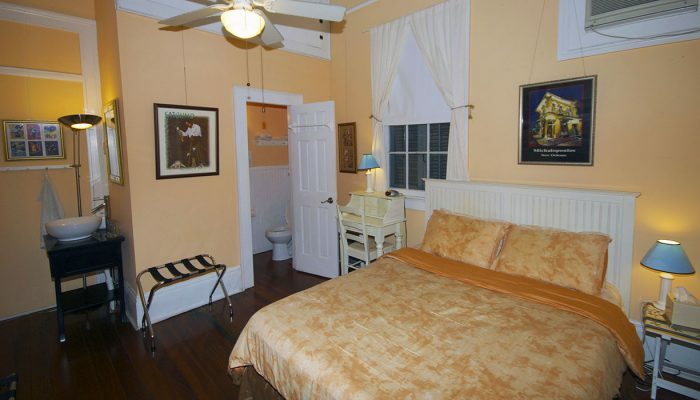 Where you will be greeted by your host upon arrival. 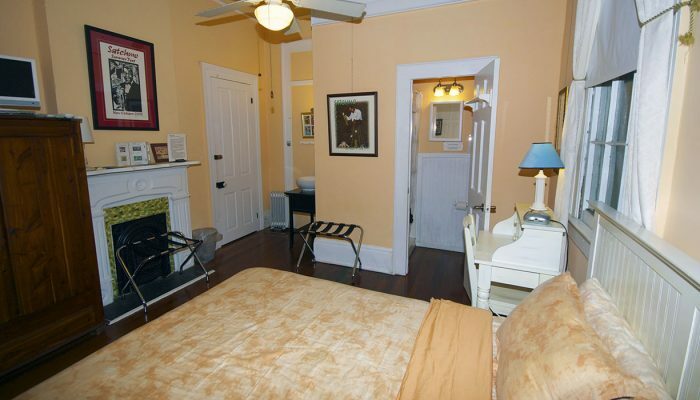 Each of our guest rooms has its own unique decor and ambiance. 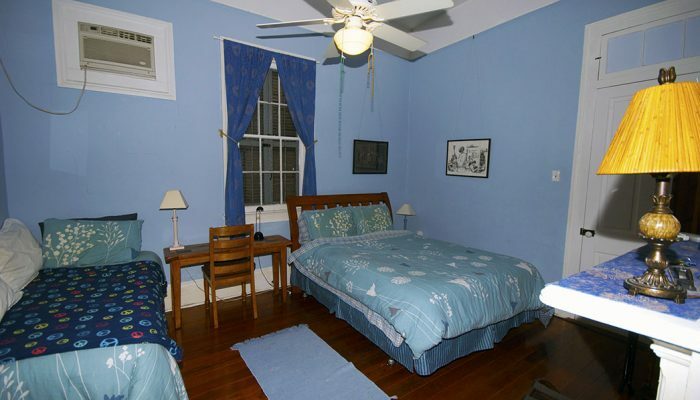 They are all beautifully appointed with queen size beds and private bathrooms. 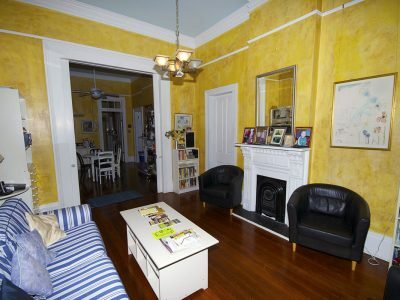 Almost everything in the house is original, including the 8 (not working, formerly coal-burning) fireplaces, the hardwood floors, the 12 foot ceilings (a few of which have original plaster medallions and crown moulding), the louvered shutters, as well as the doors (including two sets of pocket doors) and windows. 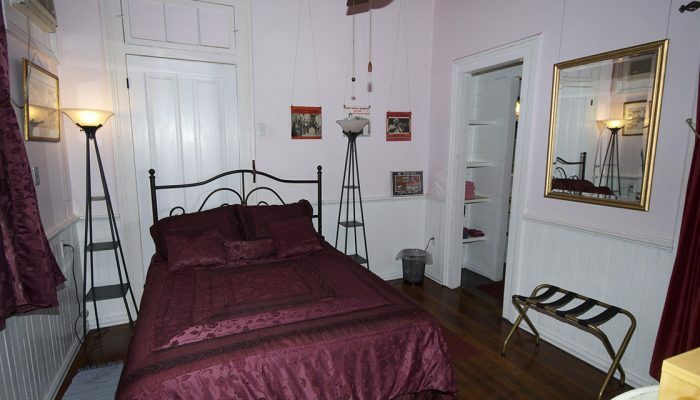 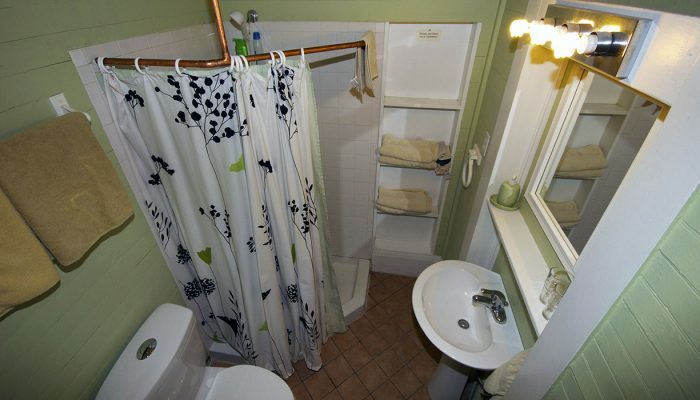 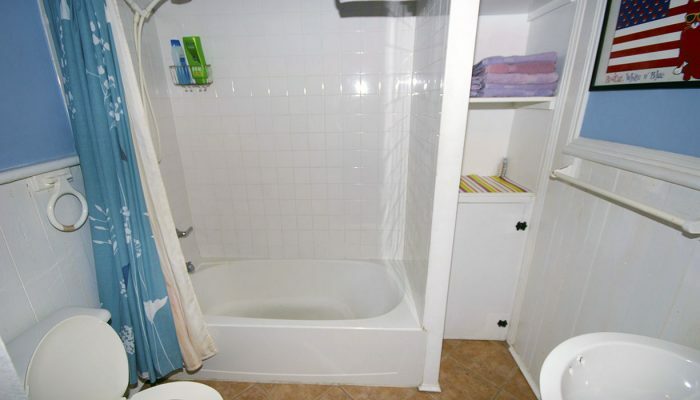 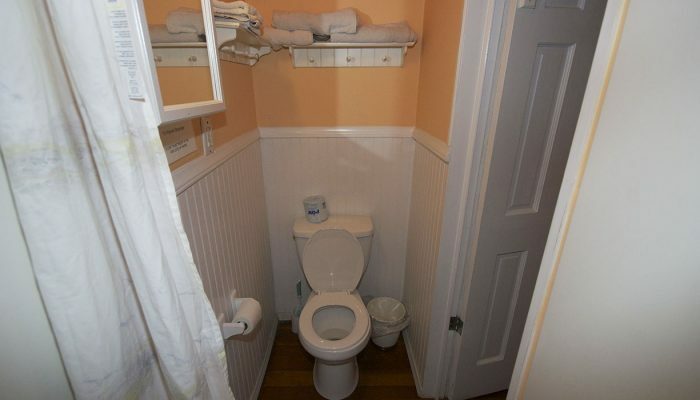 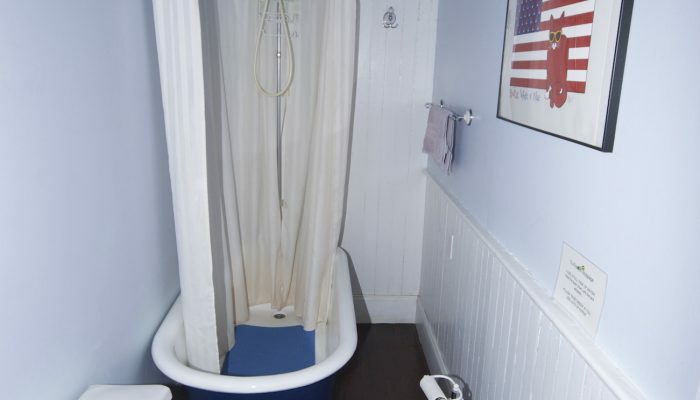 The Burgundy Bed and Breakfast has 4 guest rooms, each with its own private bath. 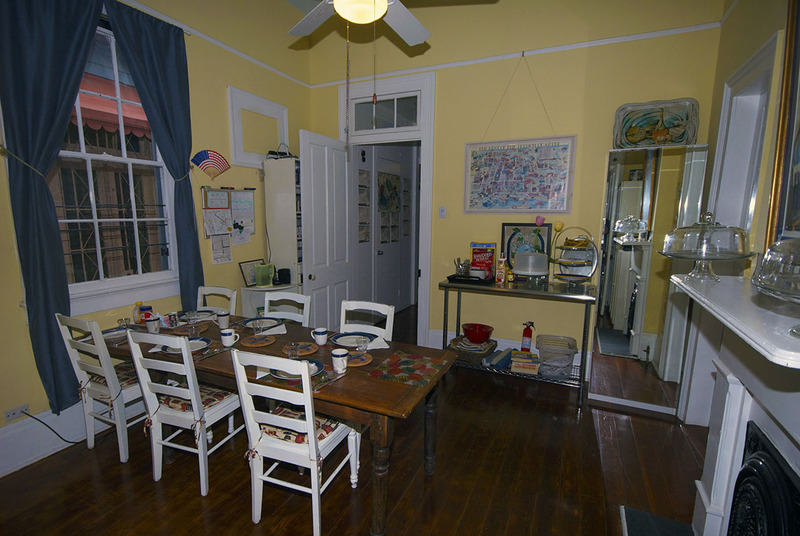 We share the courtyard, spa, porches and the dining room with our guests. 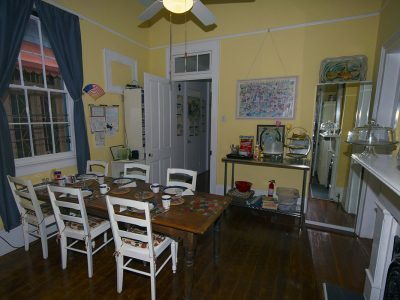 And there is a parlor and a galley kitchen for the guests to share. 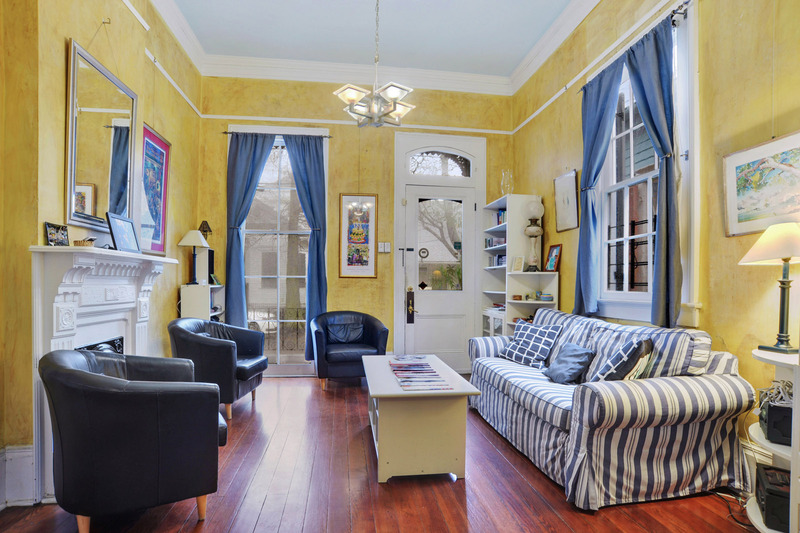 The parlor is a meeting point, sitting room, library (videos and books) and “cyber-cafe” – we have wireless internet – all in one. 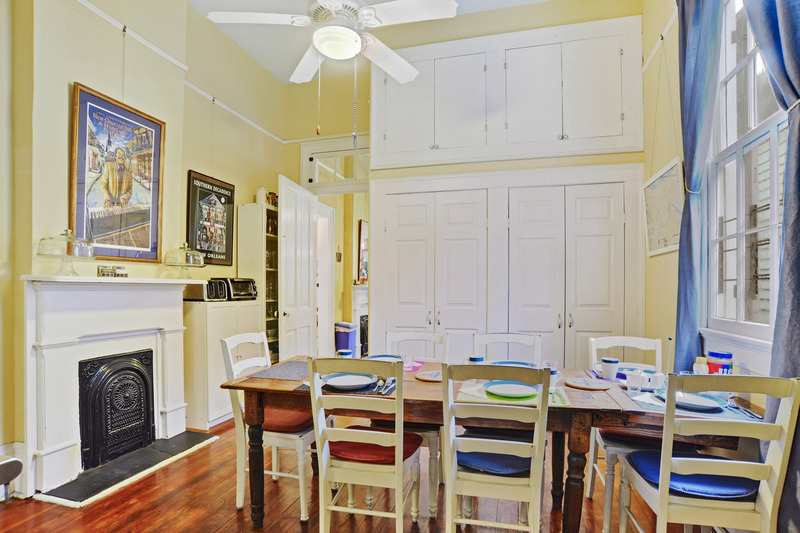 The galley kitchen has a refrigerator, sink, microwave, coffee maker and toaster oven. 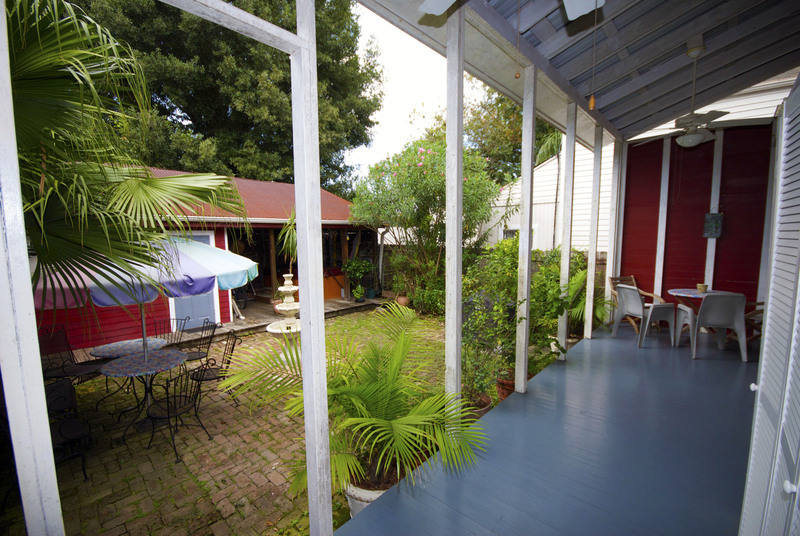 The rear porch opens onto a courtyard, which is suitable for sunbathing. 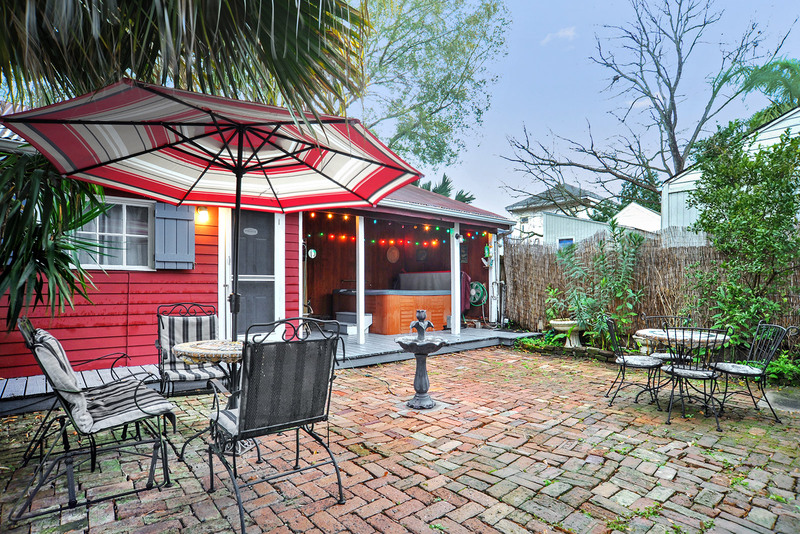 Across the courtyard is the half-open “carriage house”, in which the spa (whirlpool, hot tub, Jacuzzi) is located. 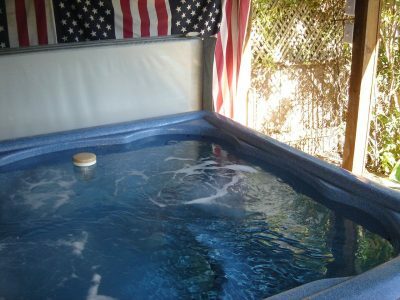 We have a “clothing optional” policy in the spa. And by the way, “Burgundy” is one of several street names which are locally “mispronounced”: We say bur-GUN-dy, although the color of the same name is pronounced BUR-gun-dy. 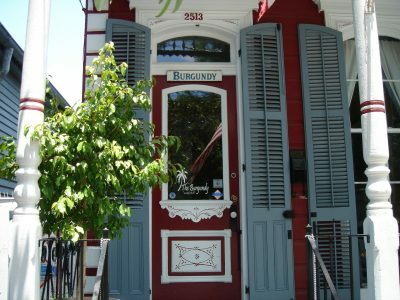 Probable reason: The street was named after the Duke of Burgundy, in French bour-GON-ye. 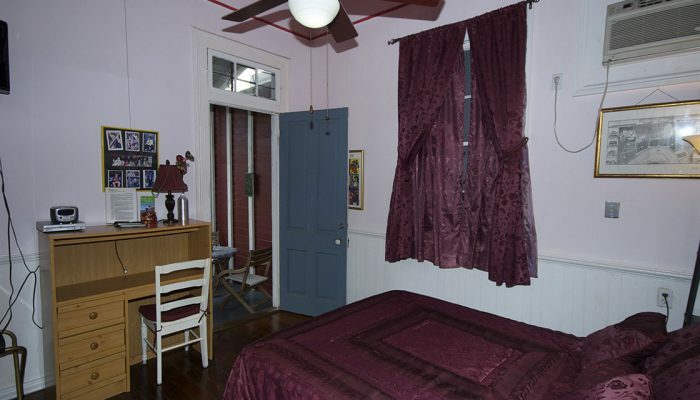 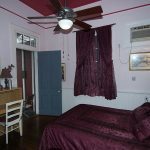 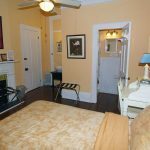 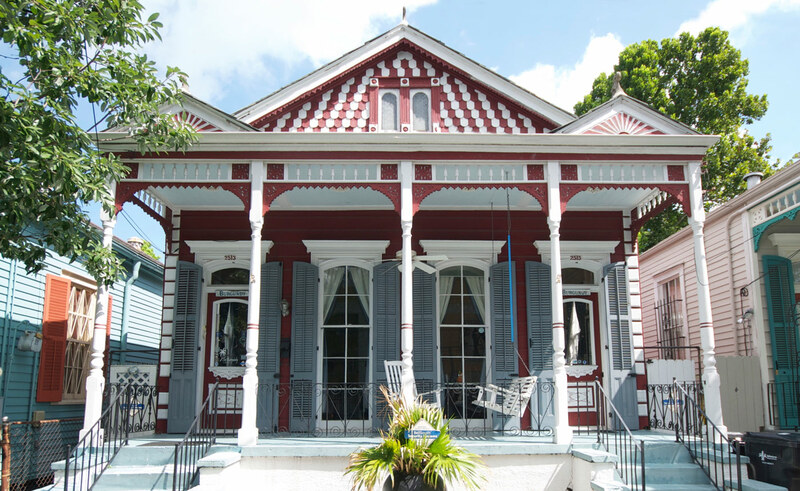 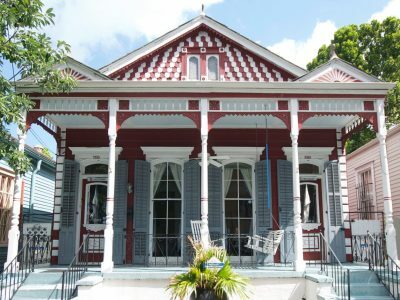 The Burgundy is conveniently located near the historic French Quarter, and your innkeeper is a Louisiana native, who can guide you to the best local sites and attractions.